The experience level of volunteer operators, combined with the widespread use of headset and lavalier mics often makes churches one of the most susceptible environments for feedback. Feedback is caused by an excess of an audible frequency that is picked up by a live microphone, amplified through a speaker, picked up again by a microphone, re-amplified and so on, taking off into a vicious cycle of humming or ringing. To eliminate the problem, an engineer must reduce the presence of the ringing frequency in the equipment’s signal path – often accomplished with a detailed graphic equalizer so that the frequency can be reduced without affecting the pleasantries of the music or speech around it. In practice, being able to hear a ring and to know which frequency’s toggle to reach for takes years of experience to master. A simpler solution to ensure a sound system won’t be problematic is to use the X-FDBK plugin, which makes ‘ringing out’ mics, monitors and PA systems extraordinarily quick and effortless, whether you’re a completely inexperienced volunteer or a seasoned 30-year touring veteran. All you need to do is insert X-FDBK on a problem input channel or output bus, click “Setup,” and then try to cause feedback for 120 seconds by walking downstage or pointing microphones into floor monitors. By using a very advanced detection engine, X-FDBK eliminates the unstable frequencies associated with the ringing as precisely and efficiently as possible, causing minimal impact on the characteristics of the original signal. THE RESULT: Quickly ring out microphones by yourself without any guesswork or special equipment. Few things are more annoying than a mic that’s constantly on the verge of ringing. Having open microphones which are sending live signal but have nobody speaking into them can be a potential feedback issue waiting to happen, or at the least can be a nuisance by amplifying unnecessary stage or audience noise through the PA.
To optimize a microphone’s performance, its gain should be set in a way that sees a strong signal when being used but doesn’t cause much stage bleed or other issues when not being used; gain staging is a science of its own. For naturally sensitive microphones like headset, lavalier and podium mics, having strong gain before feedback is the name of the game. Waves’ Primary Source Expander (or PSE) is a user-friendly tool that can increase any input’s gain before feedback by 8 dB or more. The process works by sensing when the input source level drops below a certain threshold; when it does, PSE immediately drops that level further by a user-specified amount (anywhere from 0 dB to -60 dB). Regarding a speaking mic, if you set the parameters to the extreme you are essentially muting the mic when the speech stops and un-muting it as soon as the speech resumes. This action halts the ability for feedback to build up and become an audible issue. Additionally, the added gain available before feedback allows for greater volume and enables an engineer to keep a much more natural-sounding input since there will be less need to carve out the problematic frequencies with EQ. THE RESULT: Better sounding inputs with less ringing. Suppose you have a female singer who has a great voice but every once in a while she hits a certain note that is unbearably harsh and piercing. You can EQ that one high-mid frequency out, but by doing so you’ll also remove some clarity from the vocal, permanently. Or imagine you have a singer with a nice, warm voice, but sometimes in the lower register the vocals lose intelligibility and become difficult to decipher. You can try to EQ the vocal to get some more intelligibility, but then you might end up removing all that nice depth and warmth. A powerful tool you can use to solve these problems is the C6 Multiband Compressor plugin, a fully adjustable multiband compressor/expander with six separate frequency bands, which lets you do exponentially more than what EQ and channel compression alone can accomplish. For the first singer, you can adjust the C6 to the terribly harsh frequency and reduce its impact with compression, without affecting any of the other frequencies of her voice. For the singer with the warm voice, you can remove some of the excessive low-mids in order to get more intelligibility – but only as needed, without affecting the frequencies responsible for that special warmth and depth. THE RESULT: Pleasant, intelligible and natural-sounding vocals. The proximity effect in audio is an increase in bass or low-frequency response when a sound source is too close to a microphone. Seasoned singers or orators will know how to ‘work the mic’ to prevent this from happening – but speakers or performers who are less experienced will constantly run into proximity effect issues. Setting a quick attack time of the low-mid compressors in the Waves C6 Multiband Compressor can work to eliminate the proximity effect, and properly adjusting each band can bring a drastically more consistent sound to even the worst offenders of improper mic technique. THE RESULT: Incredibly consistent sounding microphones regardless of placement. Playback tracks, whether as backing tracks from a device on stage, audio for video, or walk-in music are rarely checked for dynamic consistency. Also, with the potential for production elements or set lists to be changed at the last minute before a service, the ability to check and adjust levels for consistency may be impossible. One idea could be to use a heavy compressor or limiter on the inputs to make sure that nothing beyond a certain level gets through. However, if the level inconsistencies are significant, this can lead to a very unnatural, over-compressed sound. Or the opposite: where one audio source is much lower than the others and nothing is done to compensate. The eMo-D5 plugin has a Leveler process, which will automatically level incoming signals to a user-defined target range. THE RESULT: A ‘set and forget’ process that delivers extremely consistent levels for playback tracks. It’s very common for churches to have several people using microphones on stage all at once. Preventing one headset mic from ringing is difficult enough, but when you have several of these being used simultaneously, the probability of encountering feedback is increased exponentially. Another issue experienced when using multiple microphones in close proximity to one another is comb filtering due to phase cancellation. This happens when one voice is picked up by multiple microphones, but due to the speed of sound moving through air, the signal is delayed to the further mics (typically by a few milliseconds). When the variously delayed signals are combined in a mixer, the audio signal suffers a degree of cancellation due to phase differences, resulting in loss of signal and speech clarity. To prevent this, an engineer would have to manually 'ride' the faders, bringing up the person that is actively speaking while pulling down the others and vice versa. This is not practical and leaves lots of room for missed cues and cut off phrases. The best solution is to add these microphones to a Dugan Automixer group, which instantly and seamlessly detects who is speaking and turns their mic up while simultaneously turning all others down. THE RESULT: Remarkably clear speech when using multiple microphones, and increased gain before feedback. There is a wealth of factors that contribute to how a PA system will sound, including the structural materials of the room, the furniture within, whether or not it’s filled with people, the placement of the speakers and more. Even expensive touring PA systems need to be tuned when first installed and switched on. The most common way to do this is by using a trained ear with a graphic equalizer to manually adjust the system’s sound output to counteract the imperfections in the room, resulting in a sound system that is well-tuned to the room in which it’s operating. Waves’ GEQ Graphic Equalizer plugin is an essential tool so that live sound users can do just that: tune a PA system’s output to a room so that it sounds its very best. The plugin comes in two versions: Classic and Modern, each a 30-band graphic EQ featuring an intuitive real-time analyzer (RTA) window for an accurate visual representation of the sound. The Modern version uses the same flat-top filters found in the current industry-standard audio system processing platforms. The plugin also allows for a sidechain input of a microphone to the RTA, allowing you to see the difference between the signal leaving the sound desk and what is ultimately reproduced by the speakers in the room. This is very useful for tuning PA systems, costing only a fraction of that of similar systems and is much easier to operate. THE RESULT: The ability to see how your PA is reproducing the audio you are sending, what specific areas need equalization and the ability to make fine adjustments. Typically, the mix fed to hallway and overflow room speakers sound just OK at best. It’s not likely that the mixing engineer will constantly monitor the hallway feed, and some hallways and overflow rooms will sound drastically different from others. With Waves world-renowned mastering plugins like the L3 Multimaximizer, a rough stereo mix can be turned into a level-controlled, seemingly-mastered product, ready to translate to 70v hallway speakers. THE RESULT: Providing consistent sound to overflow rooms and hallway speakers. 9. Auto-tune off-key semi-professional singers – live! To many people, live vocal tuning correction can seem impractical or simply difficult to do. Waves has very carefully developed a live tuning plugin called Waves Tune Real-Time, which does exactly what it sounds like, and is not too good to be true. The purpose behind the plugin is to give a mix engineer the ability to help a struggling vocalist seemingly stay on the right pitch, while doing so totally transparently. There is also a very powerful vibrato function which can add or remove vibrato to a vocal input, giving the engineer plenty of control in building a mix that fits together well. THE RESULT: Natural sounding, pitch-perfect vocals. Being able to record each input of a performance independently and play it back through the sound system as many times as you want is an invaluable training tool. No green volunteer is going to have an in-depth learning experience trying to dig into the concepts of compression and equalization while the band is on stage with the worship service underway. Being able to fully mix everything as you would with a live band, but having as much time as you need will totally change the way volunteers are trained. 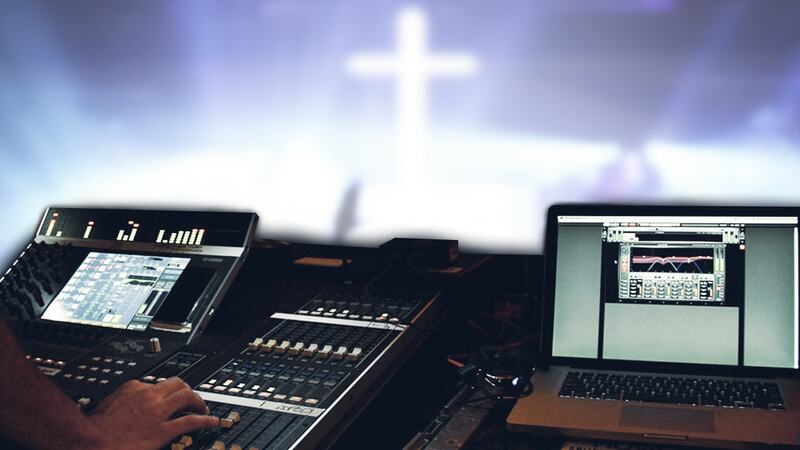 It also allows seasoned engineers to really dial in their mix techniques, bringing a far-improved audio experience to the audience or congregation. 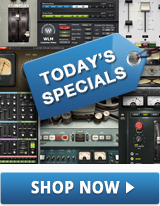 Waves Tracks Live recording software works essentially like a digital tape machine. It’s a very stripped down, easy to use application that will multitrack record and play back up to 500 channels of audio at up to 96 kHz using any audio interface. THE RESULT: Better-equipping engineers while making better use of everyone’s time. We hope that this has been helpful in identifying and resolving any issues your facility may be experiencing. Please contact a representative for more information on House of Worship audio solutions from Waves.